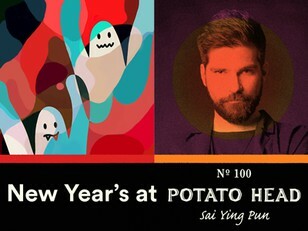 Join us for disco and good times with Jesse You & Airbear aka Downtown (Korea), Johnny Hiller & Michael Ho (Klasse Rec.) in our audiophile Music Room for a high-end sonic experience this New Year's Eve. 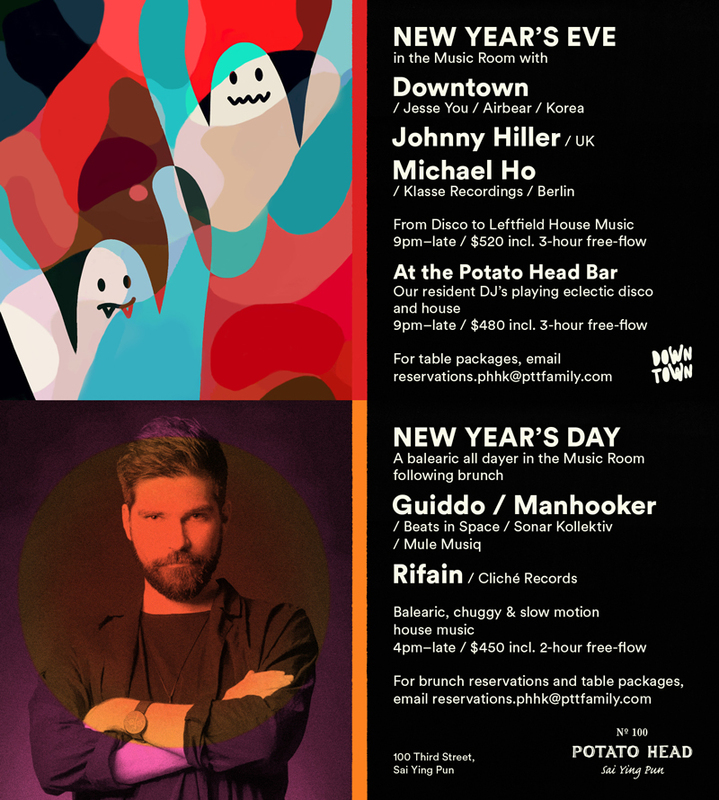 Ring in 2018 in true tropical style with a special year-end blowout at the Potato Head bar with eclectic disco and house sounds by our Potato Head residents. Join us on New Year's Day for our Balearic All Dayer, featuring new Indonesian dishes at Brunch from our Balinese Head Chef, Wayan. We're laying on champagne and island-inspired cocktails to toast the New Year, with residents providing a Balearic beat soundtrack. As sunset falls, the party continues in the Music Room into the night, with DJ Guido (Beats in Space Records, Sonar Kollektiv) and a mystery special guest, plus residents spinning an eclectic mix of party music until late.